Just north of Dublin in the Boyne Valley, 5000 years ago, stone age farming communities constructed the most amazing megalithic monuments. 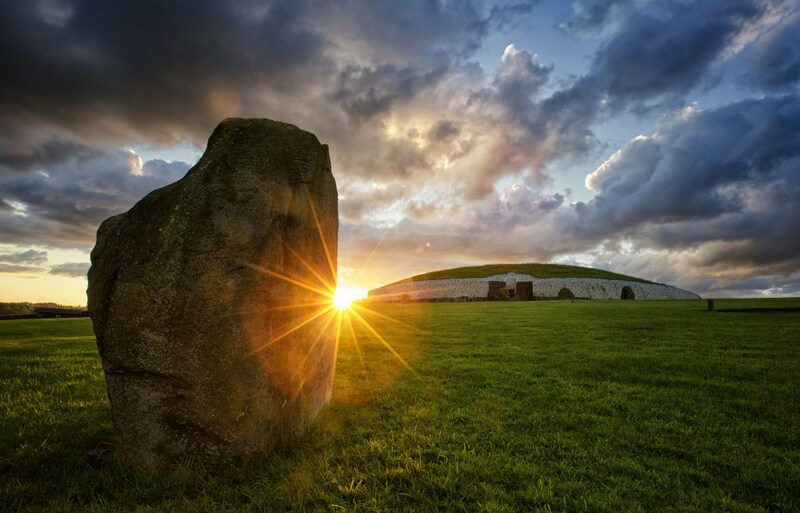 The most famous is a passage tomb at Newgrange a UNESCO world heritage site. Near Newgrange is the less visited passage tomb at Dowth where you can wander at your own pace. At Loughcrew there are clusters of megalithic cairns dotted around the Slieve na Caillaigh hills and on the Hill of Tara which is more famous as a Celtic Royal site there is also a passage tomb called the Mound of the Hostages.